Hi, there is lot to tell about organic restaurants. I also have some experience in visiting them. Multi Organic Foods is a famous vegetarian organic restaurant in Pappanaickenpalayam Coimbatore. . I visit the restaurant at least three times a week! I am a big fan of vegetarian foods. They serve us a variety of organic grains, fruits and vegetables. These fruits and vegetables are generally pesticides and fertilizers free. They are 100 percent natural! The restaurant provides a variety of items with a great taste. The food is a little costlier than foods provided by ordinary restaurants, but it is natural and healthy. These organic restaurants are hard to find, so when I am able to find one with great food that is clean, natural, and well prepared, I stick with it! I have recommended this restaurant to my family and friends, as the best pace to eat organic in Coimbatore. Take my advice and do not hesitate to try it. You will be very glad! Dine Out For Pennies on the Dollar! Healthy Organic Food at "Pure"
One of the only organic restaurants in Mumbai, Pure is definitely something to recon with. It has a vast variety of the most delicious and fresh food that you have ever tasted. The delight of organic food, American chef, Michel Nischan has made this wonder, a hit among the Indian connoisseurs of organic food. You can definitely count on him to present you with the best food you might have experienced in this city. Despite Pure’s limited appeal, it is impressive how it has stuck to its basics of serving the freshest and healthiest foods available. One of the most captivating delicacies is the Himalayan trout, which is certain to appeal to fish lovers. The variety of foods available in India is definitely captivating, especially when you taste food at Pure. So the next time you drop by Mumbai, definitely check out this great organic restaurant. It's my guarantee that once you have eaten there, your taste buds will be begging for more! When I went to stay at my brother's place at Bangalore he suggested that we go for a family outing to an organic restaurant by the name of Grasshopper. In the beginning I wasn't very impressed as I thought that organic foods are very expensive and not very tasty. I agreed to his suggestion and went to the restaurant not fully satisfied. When I reached the hotel I was pretty amazed as the hotel was in the middle of an organic farm and we could stroll in the farm and actually select the vegetables that are produced in the farm, which is then used for preparing the dishes that we order at the organic restaurant. There was a man who was 75 years old over there who had been eating only organic food and I was amazed to see him very active and looked lot younger than his age. I loved the experience eating at the organic restaurant and the food was fresh and delicious that my notion for organic food has changed from then on and I have decided to use organic vegetable and ingredients in my daily food as well since they are healthy. Grasshopper is at No. 45, Kalena Agrahara (next to The Farmhouse), Bannergatta Road. For lunch/dinner reservations, dial 6593999/9845075307. I have been living in Bangalore for the last few years. 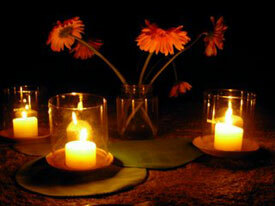 Six months back an organic restaurant was launched in the outskirts of the city at Marathahali in the name of LUMIERE. I decided to give it a try and went there with my family. 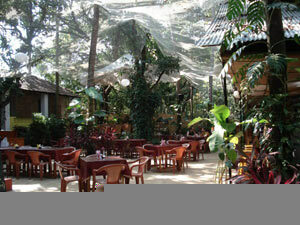 It is an awesome experience to have food in the midst of greenery all around. They have buffet as well as ala carte menu. The area is so widespread that they have grown organic vegetables and use the vegetable products of their own garden; the vegetables grown are free from pesticides and chemical fertilizers. We were served complimentary juices from the fruits available in the garden. The chapatti they serve are from whole-wheat flour and rice is from the organic farms. The diary products are from their own cattle farms. The food is also cooked in organic Sunflower oil .We had ordered Seekh kebab and crunchy grilled potatoes, fish tikka as starters and Vegetable Biryani, Chapatti, stir fried vegetables and green chicken. They also serve complimentary salad with the food ordered .It was an assortment of cucumber, radish, carrot, capsicum and sprouts. The preparation and taste was superb. The service and hospitality they provide is world class. We people till date remember the lovely taste of the dishes. In today’s stressful world, it is sometimes very necessary to visit an organic restaurant to have mouth-watering organic food. Lumière is THE place to go! This is one of the better restaurants in the city, and I can tell you its best among the organic restaurants if you are looking for healthy foods. 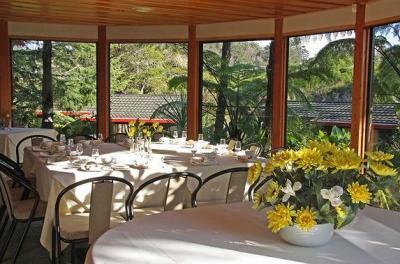 The location of the restaurant is great and it is a very nice looking and clean restaurant. When we got the menu, there were a variety of foods - Malabar, Tandoor, Chinese, Continental, etc. We really got confused which food to have and we did want to try all types of food that were listed. I liked the Vegetable Seekh Kabab for starter, Green Corn Soup and the Vegetable Biriyani. Sorry, I am a vegetarian. But by watching some of my mouth-watered friends who are non-vegetarians, I did know there are good lists of non-vegetarian foods also. The prices for the items are affordable and I was happy to know they have home delivery services also. I would heartily recommend this organic restaurant to anyone looking to experience fine vegetarian or non-vegetarian cuisine. If you find yourself in Cochin, don’t pass up Lumiere! 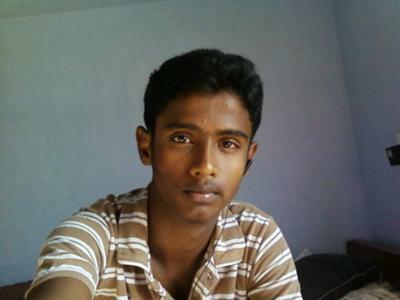 Hello, my name is Gaurav and I live in India, New Delhi, 17A/53 Karol Baugh area. I am a pure vegetarian and like to eat green vegetables and lots of salads in my food. This is why I love eating at the Bengal Sweets Center, a Pure Veg Organic Restaurant, that's located in New Delhi, 17A/53 Karol Baugh area. They have different varieties of special pure organic dishes and that's likely to please any palate. I like the like veg fast food, veg Pizza and Burger, Sahi panier, Dal makhni, Veg Manchurian, French green salad, Korma and many more. It is a well-lit, clean, modern, casual kind of place. There are 70 seats in the back of the room. It has fast, friendly service. The service that I receive there is likely to be the five star. Bengal Sweets Center is one of the most popular restaurants in the Karol Baugh area. On holiday (Saturday and Sunday), there are lots of people who visit to eat there, as its the best restaurant in New Delhi. If you are into organic and vegetarian food, then I would recommend this organic restaurant highly to anyone visiting Delhi. I promise you won’t be disappointed. 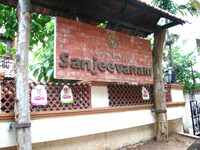 Sanjeevanam is an Organic Restaurant in my hometown Salem, in Tamilnadu, India. I wasn't aware of this Organic food concept and it was my Aunt who took me to this restaurant for the first time. We went there for evening Snacks. I ordered Cutlets and a fruit plate. They served Hot Cutlets that looked as delicious as the usual ones in other bakeries and restaurants. When i had it, i found that the vegetables inside were only half-cooked and no oil at all. Although these were my concerns, the taste was as good as the usual cutlets. My aunt explained me how they do it and why Organic foods are good for health. Then i felt this restaurant is a good choice if we wish to be healthy. I am telling about my first experience in an organic restaurant in Delhi. I was my dad's 60th birthday and we went to “Swach” for dinner. He heard about this organic restaurant from a friend of his. This was my first time eating in an organic restaurant. When I was there I felt that the place itself contains some magical organic aroma. The most exceptional thing about the restaurant is the variety. Some of the items on the menu are combinations of food I have never seen anywhere else. It offers both vegetarian and non-vegetarian dishes. One of the most captivating delicacies is the Himalayan trout, which is certain to appeal to fish lovers. If you live in Delhi or are planning to visit, I would highly recommend checking out Swach organic restaurant as a great place for high quality, organic food at a very reasonable price. Hi I am Raja from India. Last year I went to I went to an organic restaurant called Lumiere Organic Restaurant, which is located in Cochin Kerala during my vacation time. My family and myself had a great time there. The restaurant was fully surrounded by plants and it looks so natural. Thava Grilled Fish Chunks, and Squid Rings Herbed. There were also a selection of delicious soups like Tomato Coriander Shorbha, and Cream of Prawn. In addition to the food they have a selection of refreshing organic fruit and vegetable juices to satisfy any taste! They have their own land for growing vegetables, so the food supplied by this organic restaurant is free of pesticides and other chemicals and absolutely delicious. They also offer free home delivery. For this reason I feel that Lumiere is one of the best organic restaurants in India. The Most Happening Restaurant in Goa! A couple of months ago my family and I went for a small vacation to Goa. It’s the best place in India for spending holiday on a beach. It’s a fabulous place for eating different king of foods and lots of drinks. When we reached Goa, we all worked together and searched to find a pure vegetarian organic restaurant in Goa. 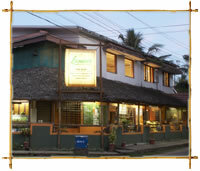 We found a great organic restaurant named - Bean Me UP Soya Station Salad Bar that is in Anjuna, Vagator in Goa. This restaurant is unique for me; it is a pure veggies delight and serves organic food only. 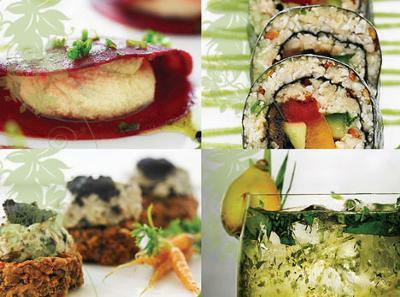 Their menus contain various types of pure organic vegetarian food. The list includes veg burger, cheeseburger, french fries, pure veg cheese pizza with garlic and tomato sauce, veg noodles (pasta and curry). The favorite part of my meal is desert and other green vegetables. The drink collection is good and so is the music. I also find some really healthy organic drinks as well. Moreover the quality of the service I received there was very excellent, they provide us a five star services like desert and other stuff etc. My experience was very good there. I have to say that Bean Me Up Soya Station was a wonderful eating experience for my family and me. I would recommend it to anyone visiting Goa!